Parr uses his typical bright rainbow colors with chunky simple drawings that show quirky characters that children will relate to when he discusses the different kinds of things that may scare them. Each page introduces readers to a fear, and the opposite page gives them a solution to deal with that fear. Some of the fears included are: fear of the dark, fear of dogs, fear of what’s under the bed, and fear of getting lost at the grocery store. One of the solutions offered is to get rid of everything under the bed before going to sleep to ensure that nothing’s there, or getting a small nightlight. Parr ends the book with his statement of reassurance: “Sometimes we are scared of things because we don’t understand them. 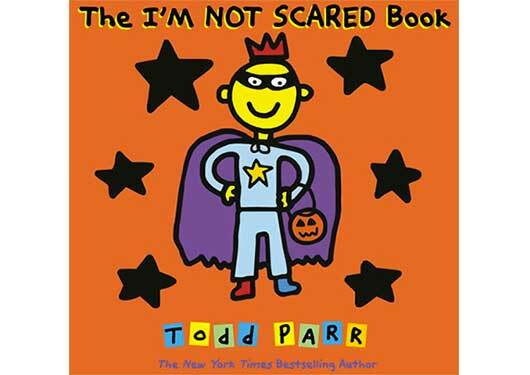 When you are afraid, tell someone why and maybe you won’t be scared anymore.” Parr’s illustration style lends itself to an activity where children try to draw their own pictures of what makes them scared. A great book to read aloud to children and to discuss what makes them afraid. —Reviewed by Veronica Pro Covington, University of Texas, Austin.